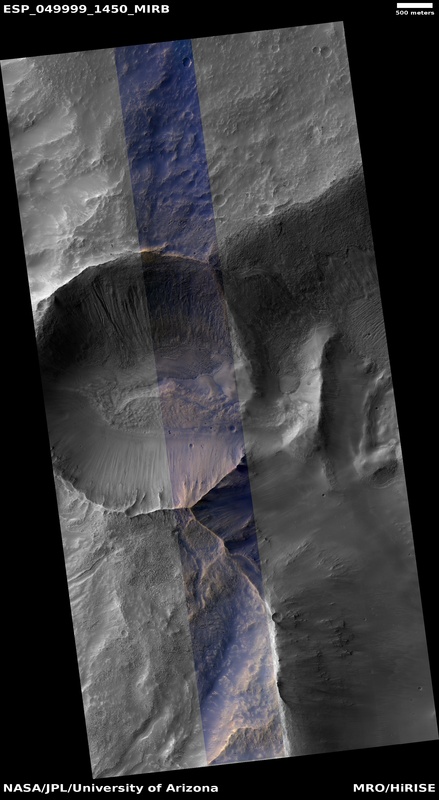 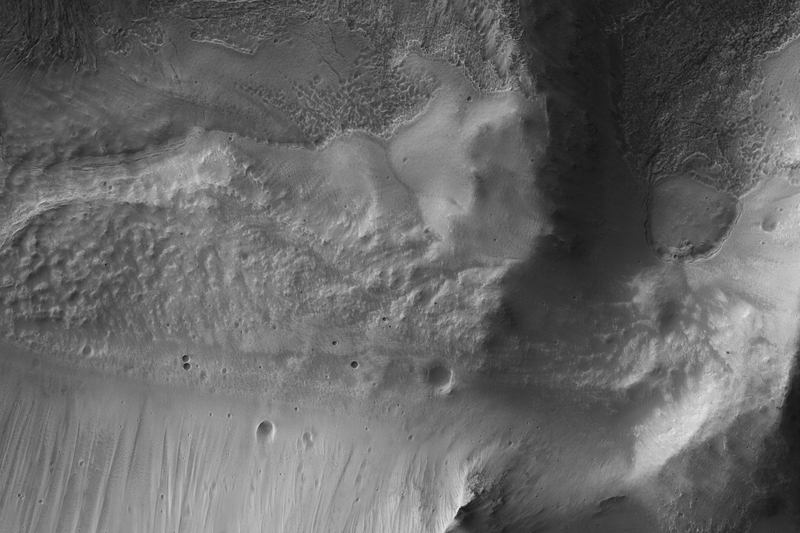 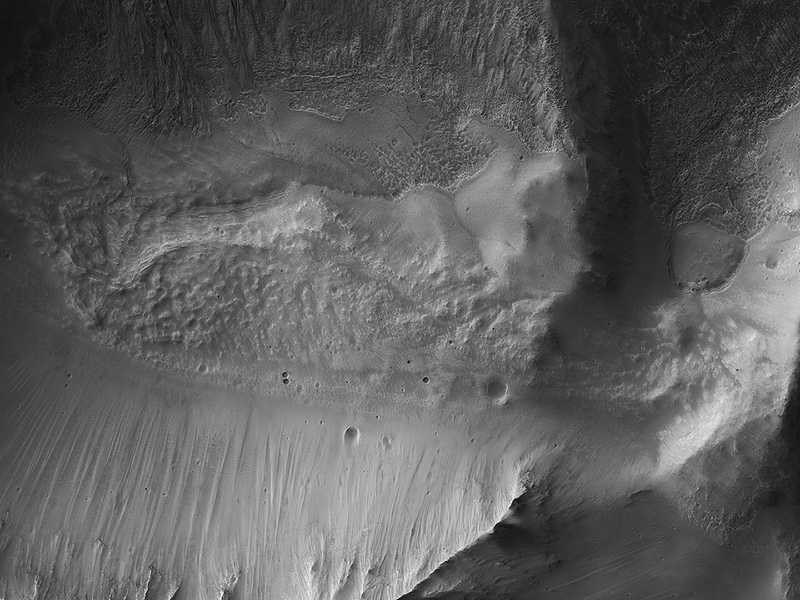 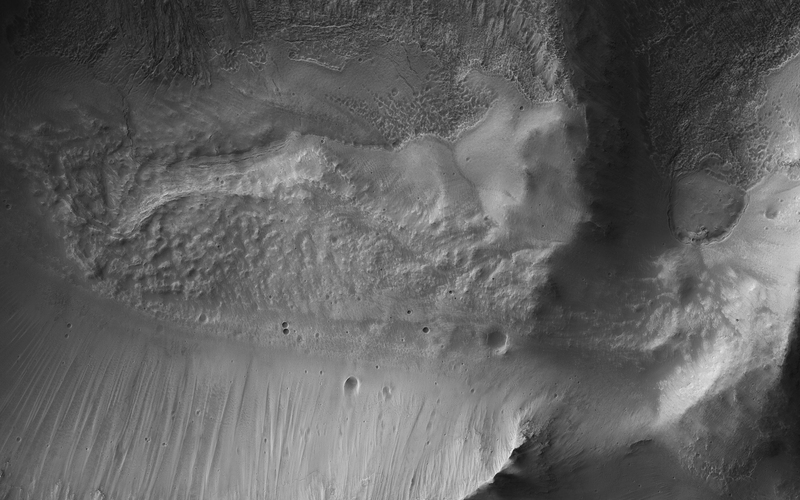 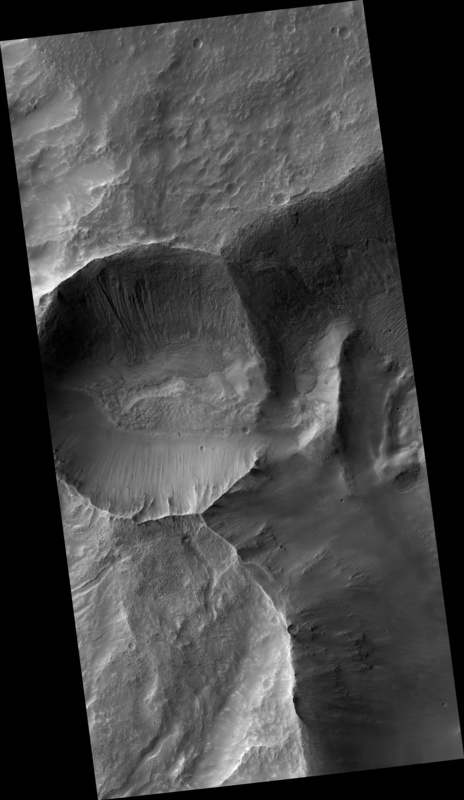 The eastern rim of this small 3.5-kilometer crater appears to have collapsed into a much larger crater (about 14-kilometers wide). The larger crater has a large ice flow around its central peak, and is non-circular, with large blocks further suggesting structural collapse of the terrain due to what are called periglacial processes. 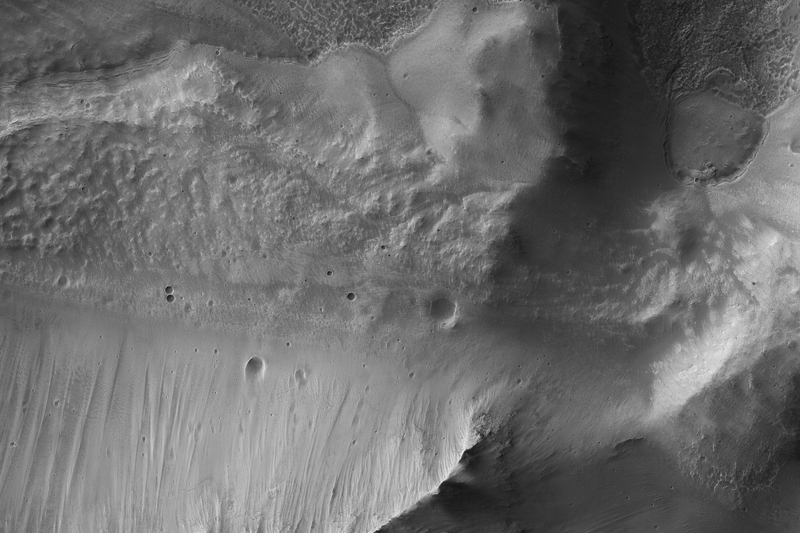 Understanding the composition of this small crater may inform us of the ice content of the surrounding terrain.